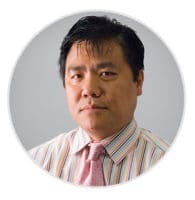 Currently a Senior Member at the H. Lee Moffitt Cancer and Research Institute and Professor at the University of South Florida, Dr. Tao began his studies in his native China, receiving an MD from Henan Medical University and an MS in pathology from Peking Union Medical College. After arriving in the United States, Dr. Tao received a PhD in molecular and cellular pharmacology from the University of Miami School of Medicine, and a postdoctoral training at Brigham and Women’s Hospital, Harvard Medical School. He completed a residency at Long Island Jewish Medical Center and a hematopathology fellowship at the University of Pennsylvania before joining the Moffitt faculty. In 2010, the Lymphoma Research Foundation (LRF) awarded Dr. Tao a Mantle Cell Lymphoma (MCL) Correlative Grant of $200,000 for a project using a micro RNA array, an emerging technology at the time, to identify biomarkers in MCL that could be used to diagnose and predict the prognosisThe likely outcome of a disease, including the chance of recovery. of MCL patients. 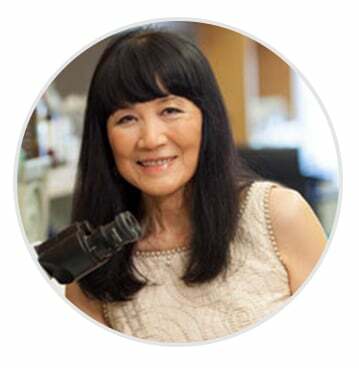 “The LRF funded grant was awarded to me …at a critical point of my career,” Dr. Tao says. “The grant provided the necessary research resources to the project, to have and train students and fellows, and allowed me to continue my research career.” During the grant, Dr. Tao and his colleagues, including Dr. Eduardo Sotomayor, and LRF Scientific Advisory Board member) identified a set of microRNAs that play a critical role in MCL drug resistance and progression. The continuing results of this research have been published in journals such as Cancer Cell (October 2012), The Journal of Clinical Investigation (November 2013), Cell Cycle (January 2014) and Blood (February 2015); he also credits LRF’s support with helping him recently obtain a highly competitive R01 grant from the National Cancer Institute (NCI). Dr. Tao says he was drawn to lymphoma research and diagnostics because the complexity of the disease has kept it on the leading edge of research in oncology. “To be a hematopathologist and lymphoma researcher, it is definitively more exciting and challenging because in addition to histologyThe study of tissue characteristics that may lead to identifying a specific type of tumor. 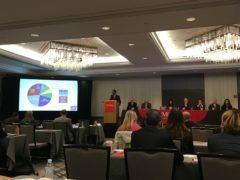 and pathology, you need to be armed with basic cell biology, immunology, genetics, and the state-of art technology application.” Dr. Tao notes that since his career began, the advent of functional and structural genomics has greatly accelerated the understanding of the underlying mechanisms in B-cell lymphomas as well as increasing the number of novel targeted agents and new therapies. “There is now real hope that we can dramatically improve lymphoma patient outcome,” he says.